Zombies are hypothetical creatures of the sort that philosophers have been known to cherish. A zombie is physically identical to a normal human being, but completely lacks conscious experience. Zombies look and behave like the conscious beings that we know and love, but "all is dark inside." There is nothing it is like to be a zombie. There are actually three different kinds of zombies. All of them are like humans in some ways, and all of them are lacking something crucial (something different in each case). Hollywood Zombies. These are found in zombie B-movies. Their defining feature is that they are dead, but “reanimated”. They are typically rather mean, and fond of human flesh. The zombies pictured on this page are mostly Hollywood zombies (though I’m informed that the one at the bottom is really a ghost demon). An expert tells me that the name should be “Pittsburgh zombies”, since the most important zombie movies were made in Pittsburgh, but somehow it doesn’t have the same ring. Haitan Zombies. These are found in the voodoo (or vodou) tradition in Haiti. Their defining feature seems to be that they lack free will, and perhaps lack a soul. Haitian zombies were once normal people, but underwent zombification by a “bokor” through spell or potion, and are afterwards used as slaves. 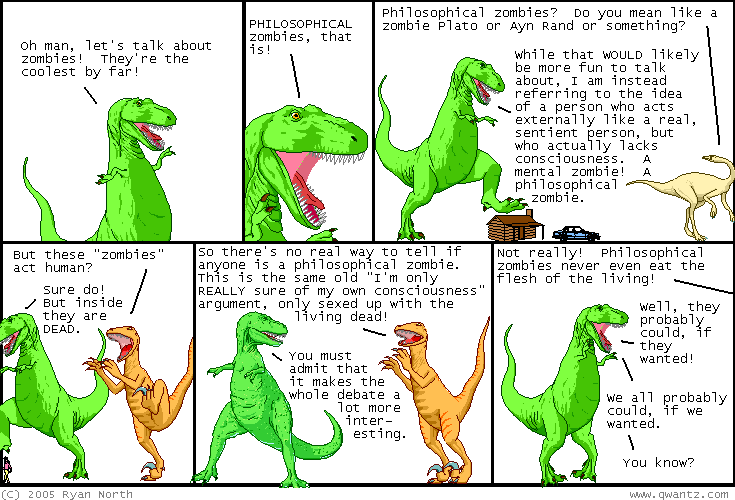 Philosophical zombies. These are found in philosophical articles on consciousness. Their defining features is that they lack conscious experience, but are behaviorally (and often physically) identical to normal humans. These three classes are distinct. Hollywood zombies and Haitian zombies are not philosophical zombies, since they typically have behavioral impairments (see how to identify a zombie) and may have some sensory experiences (e.g., there maybe something it tastes like when a Hollywood zombie eats flesh). Likewise philosophical and Haitian zombies aren’t Hollywood zombies, since they don’t eat flesh and are arguably alive (though some hold that Haitian zombies are dead). One might make the case that philosophical and Hollywood zombies lack free will and are thus a sort of Haitian zombie, although both claims would be controversial. 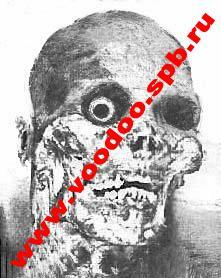 In any case, many believe that Hollywood zombies are a sort of corruption of Haitian zombies. It is philosophical zombies that I’m most interested in here, since I’m a philosopher and they raise very interesting issues. The sort I’m most concerned with are zombies that are physically and behaviorally identical to a conscious human, but lack any conscious experience. As in this case-study of my own zombie twin, for example. Most people doubt that zombies could exist in the actual world. (In philosophical terms, they are naturally impossible.) But many people think that they are at least logically possible – i.e. that the idea of zombie is internally consistent, and that there is at least a "possible world" where zombies exist. This logical possibility is sometimes used to draw strong conclusions about consciousness (e.g. in my book The Conscious Mind, and elsewhere). It can be used as a way of illustrating the "hard problem" of consciousness: why do physical processes give rise to conscious experience? This question might equally be phrased as "why aren’t we zombies?". If any account of physical processes would apply equally well to a zombie world , it is hard to see how such an account can explain the existence of consciousness in our world. And it can even be used to argue against materialism. If there is a possible world which is just like this one except that it contains zombies, then that seems to imply that the existence of consciousness is a further, nonphysical fact about our world. To put it metaphorically, even after determining the physical facts about our world, God had to "do more work" to ensure that we weren’t zombies. The general point is that the logical possibility of zombies is one way of illustrating that there is no logical entailment from physical facts to facts about consciousness, whereas there is such an entailment in most other domains. 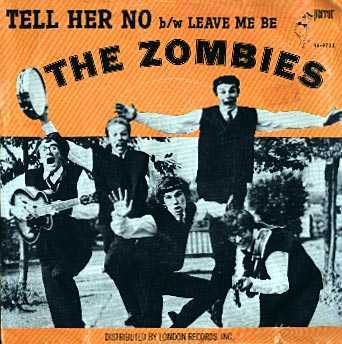 Of course even the logical possibility of zombies is controversial to some (e.g. Dennett ), as conceivability intuitions are notoriously elusive; and some scientists have been known to wonder whether anything important really follows from what is merely conceivable. I think that most arguments that use zombies can actually be rephrased in a zombie-free way, so that these arguments can be set aside if one prefers; but zombies at least provide a vivid and provocative illustration. There are two related ideas that turn up elsewhere in the philosophical and psychological literature. The first is that of a functional zombie, a non-conscious system physically different from but functionally isomorphic to a normal human. For example, a system with silicon chips instead of neurons. (This idea also goes by the more prosaic name of "absent qualia".) Some use the logical possibility of such a functional zombie to argue against reductive functionalist theories of consciousness (which hold that consciousness = functioning). Some go further and argue that functional zombies might even exist in the actual world, suggesting that any form of functionalism or artificial intelligence is doomed. Others (like me) deny that functional zombies could actually exist, so that AI is not threatened. The other related idea is that of the zombie within, which has recently gotten some play in psychology and neuroscience. It turns out that quite a lot of human activity can be accomplished unconsciously — e.g. unconscious perception, memory, and learning. And some (notably Milner and Goodale ) have argued that there are major neural pathways devoted to unconscious processing of visual inputs that leads directly to motor action. This has led some to suggest that each of us contains a “zombie within” that unconsciously produces many of our motor responses, without our realizing it. 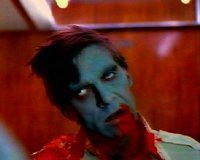 As far as I know, the first paper in the philosophical literature to talk at length about zombies under that name was Robert Kirk’s "Zombies vs. Materialists" in Mind in 1974, although Keith Campbell’s 1970 book Body and Mind talks about an "imitation-man" which is much the same thing, and the idea arguably goes back to Leibniz’s “mill” argument. After Kirk’s paper, there was hardly any explicit discussion of zombies in the philosophical literature for a long time (although there was quite a lot on "absent qualia", i.e. functional zombies). But for one reason or another, zombies have risen from the grave, and they turn out to be well-represented on the web. So here are a few links for the zombieholic. Selmer Bringsjord (1995), "In defense of impenetrable zombies"
A commentary on Moody 1995 (one can’t really distinguish zombies and humans). 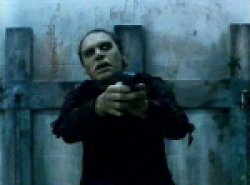 Selmer Bringsjord (1996), "The zombie attack on the computational conception of mind"
Using the possibility of zombies to draw out inconsistencies in Dennett’s argument against Searle. David Chalmers (1993), "Self-ascription without qualia: A case-study"
A commentary on a paper by Goldman, with a case-study of "Zombie Dave". David Chalmers (1995), "Absent qualia, fading qualia, dancing qualia"
Thought-experiments about functional isomorphs, arguing that in the actual world such isomorphs will be conscious. David Chalmers (1996), "The Conscious Mind: In Search of a Fundamental Theory"
My book on consciousness, with all the zombie discussions you could ever ask for. Unfortunately most of the zombie stuff isn’t available on the web. A thoughtful paper arguing that zombies as I describe them in my book may not really be conceivable. Daniel Dennett (1995), "The unimagined preposterousness of zombies"
Daniel Dennett (1999), "The zombic hunch: Extinction of an intuition?" Owen Flanagan & Tom Polger (1995), "Zombies and the function of consciousness"
Using zombies to question whether consciousness has a function. Stevan Harnad (1995), "Why and how we are not zombies"
The epistemic possibility of zombies illustrates the limits of cognitive science. Larry Hauser (1995), "Revenge of the zombies"
Uses "good zombies" to fight the "evil zombies" of dualism & identity theory, yielding behaviorism. Jaron Lanier (1995), "You can’t argue with a zombie"
Dennett & other consciousness skeptics and AI supporters must be zombies. Peter Marton (1998), "Zombies vs. materialists: The battle for conceivability"
Zombies are conceivable if and only if materialism is inconceivable. Todd Moody (1995), "Conversations with zombies"
Zombies will be distinguishable as they won’t worry about consciousness. Argues that arguments for zombies presuppose epiphenomenalism, and that any reasonable zombie would behave differently from us. An overview of many different philosophical issues about zombies. 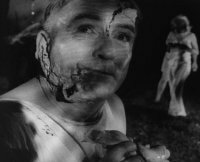 Why Kirk’s argument against the possibility of zombies fails. Nigel Thomas (1996), "Zombie Killer"
Zombies would claim to be conscious, and this leads to an incoherence. Whether the claim is interpreted as true, false, or meaningless, trouble for the zombiephile results.